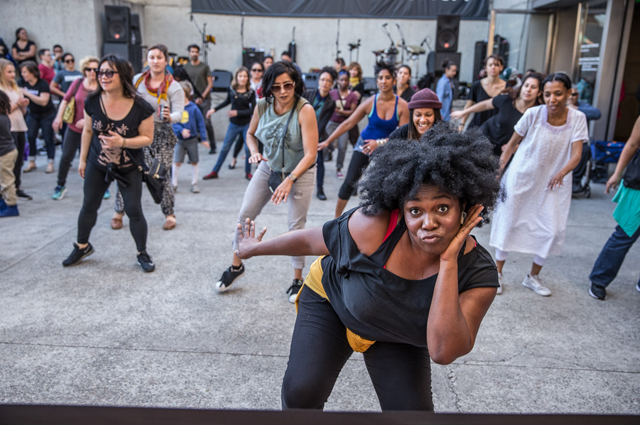 The Summer Season of Friday Nights at OMCA is back! That means the gardens are open for picnics, live music outside, galleries are open until 10 pm, and the Off the Grid food truck market expands onto Oak Street. Enjoy hands-on activities for kids and a lineup of live music and dance from local performers that changes weekly. Bring friends and family for a taste of local music, food, and culture at the Oakland Museum of California every Friday Night! Make your own paper crowns decorated with rainbows in celebration of upcoming special exhibition Queer California: Untold Stories, opening tomorrow. For one night only, purchase distinctive creations made by students and alumni of California College of the Arts (CCA). Discover one-of- a-kind ceramics, textiles, jewelry, prints, and paintings in CCA Made. For the fourth consecutive year, OMCA has offered this not-to-be-missed sale in partnership with CCA’s popular School to Market class, which helps emerging artisans find effective ways to produce, market, and sell their creations.